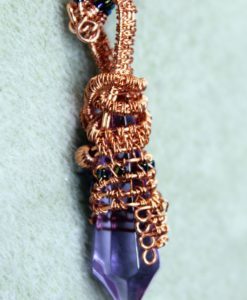 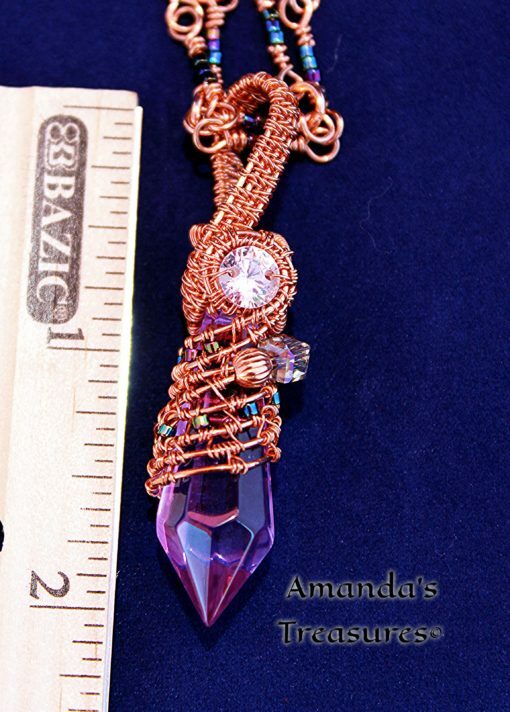 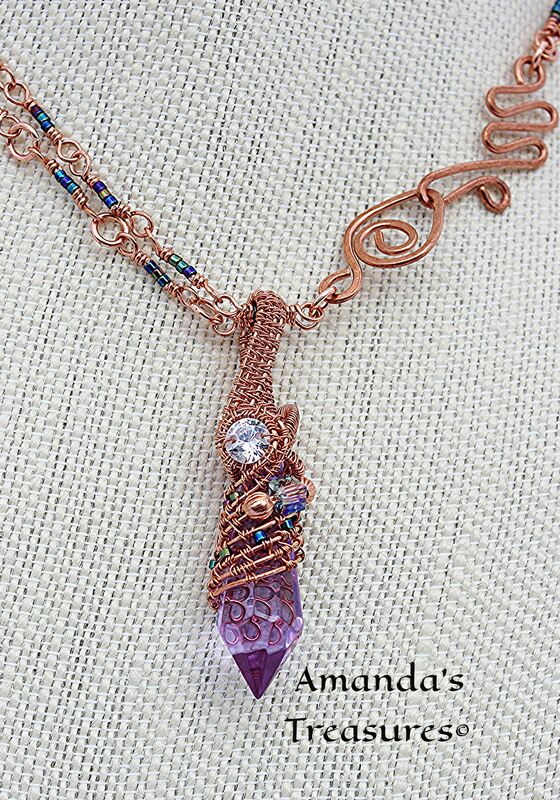 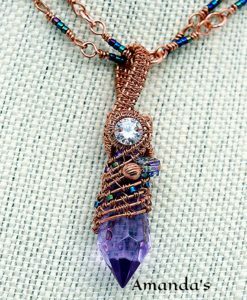 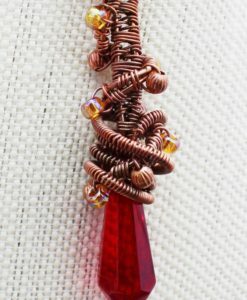 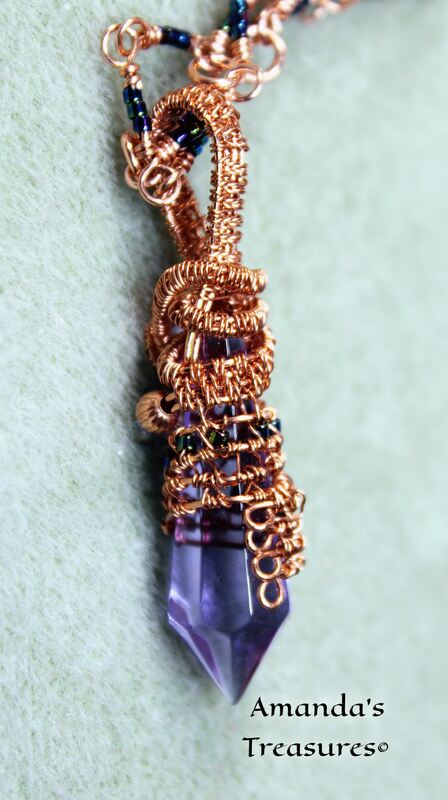 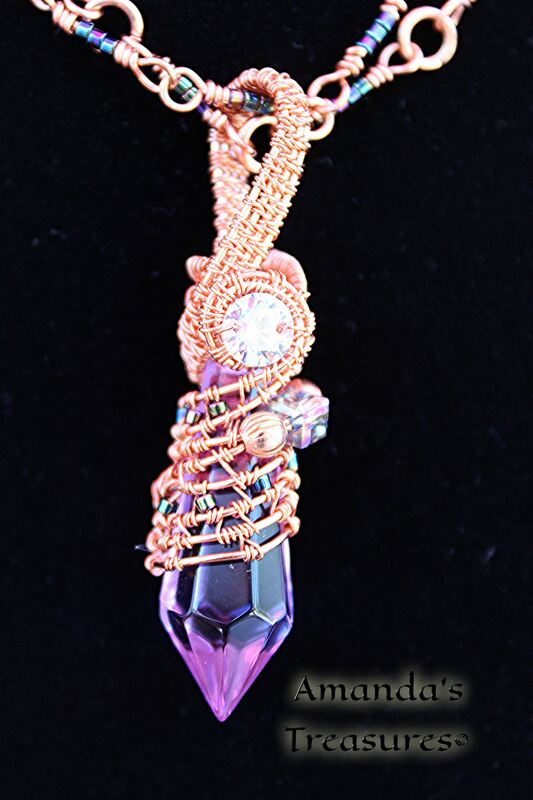 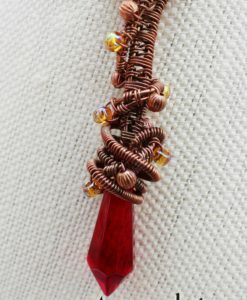 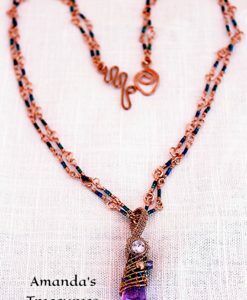 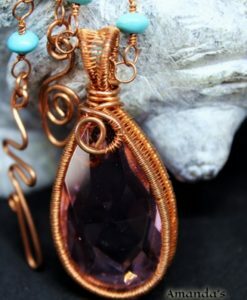 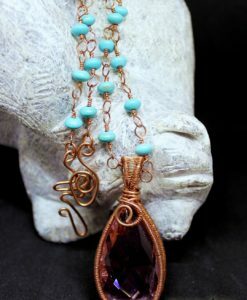 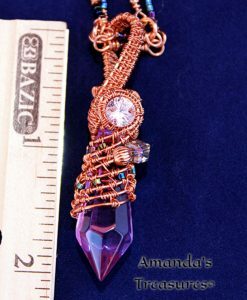 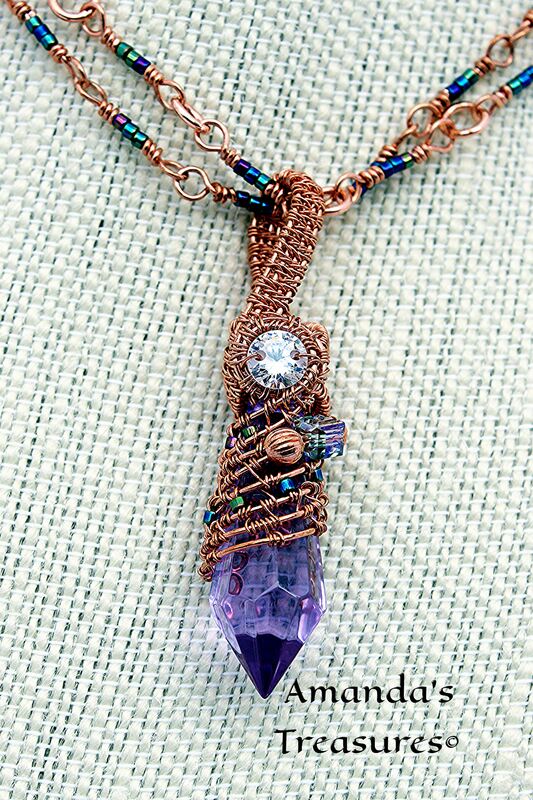 The Duchess purple faceted crystal wire wrapped necklace is in a shade of vivid purple, exclusively wrapped in copper. 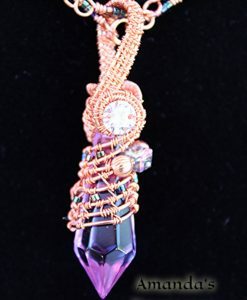 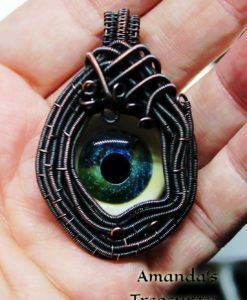 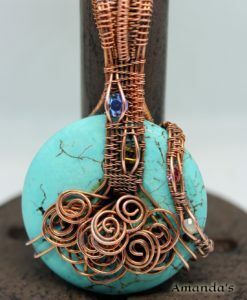 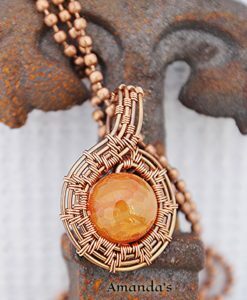 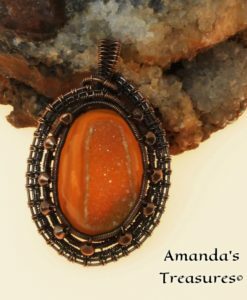 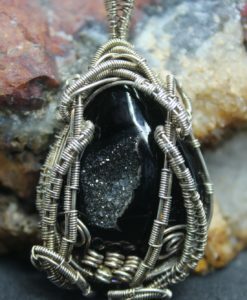 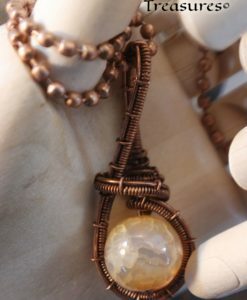 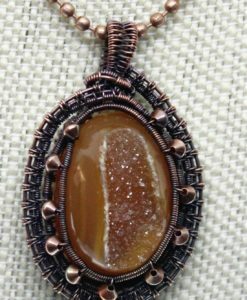 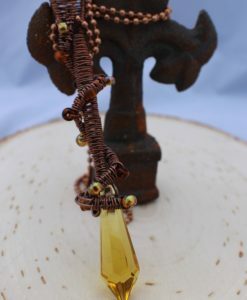 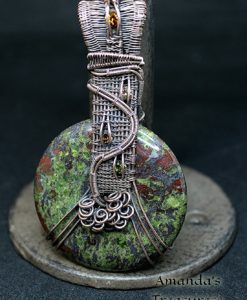 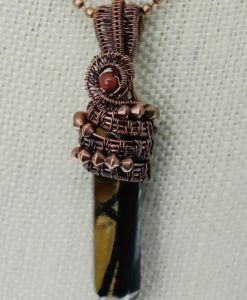 Included in this design are one cubic zirconia stone and many beads which are crystal, fluted copper, and tiny iridescent beads. 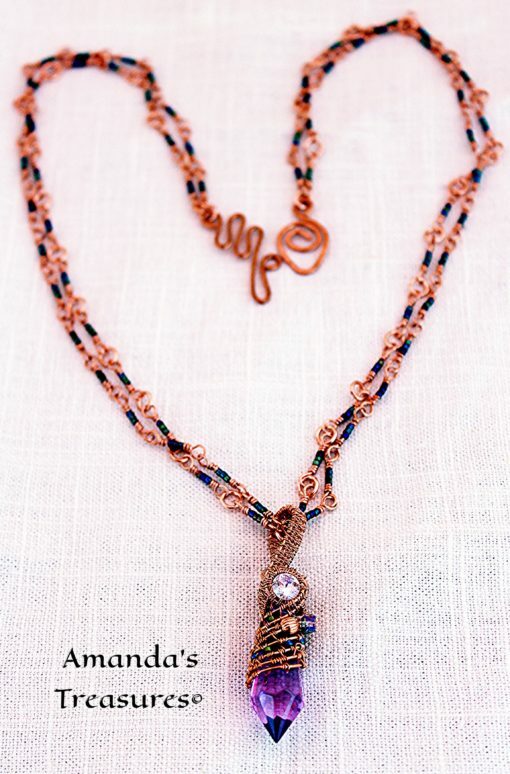 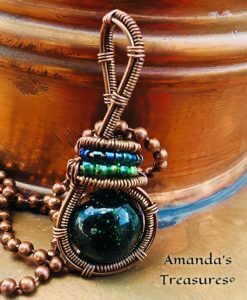 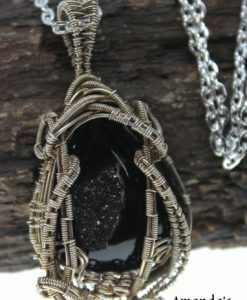 The pendant of this necklace is hung on delicate handmade double lengths of chain, each link of the two chains is made up of three iridescent beads. 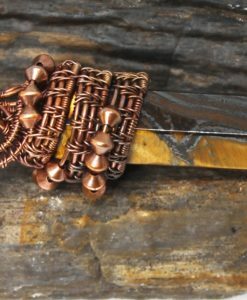 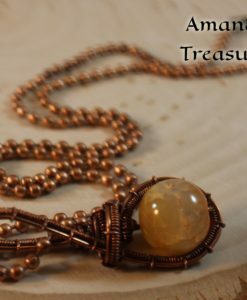 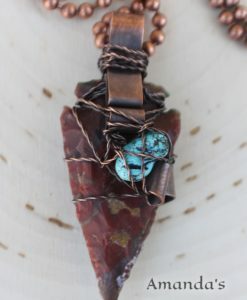 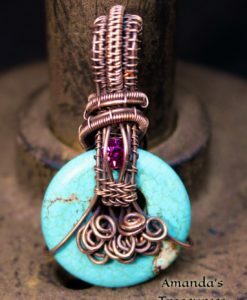 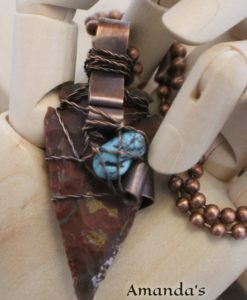 With a handmade clasp, that can be worn in the front as an added design element, this necklace will be the ultimate wearable art piece. 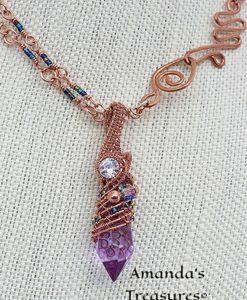 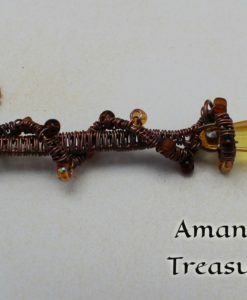 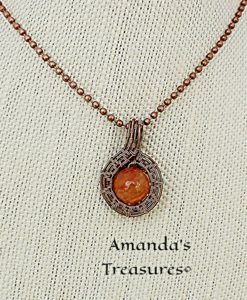 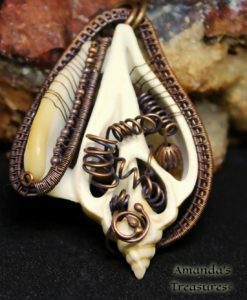 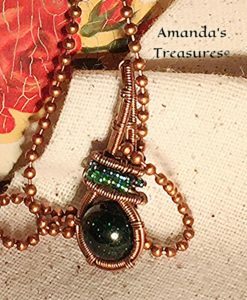 Original design by Amanda’s Treasures.